We have many volunteering opportunities available. Many of our volunteers love giving so much they have become much needed regulars. Please browse the opportunities, we cannot express enough how incredible it feels to know you have given your time and effort to help someone and know that you are truly making a difference. 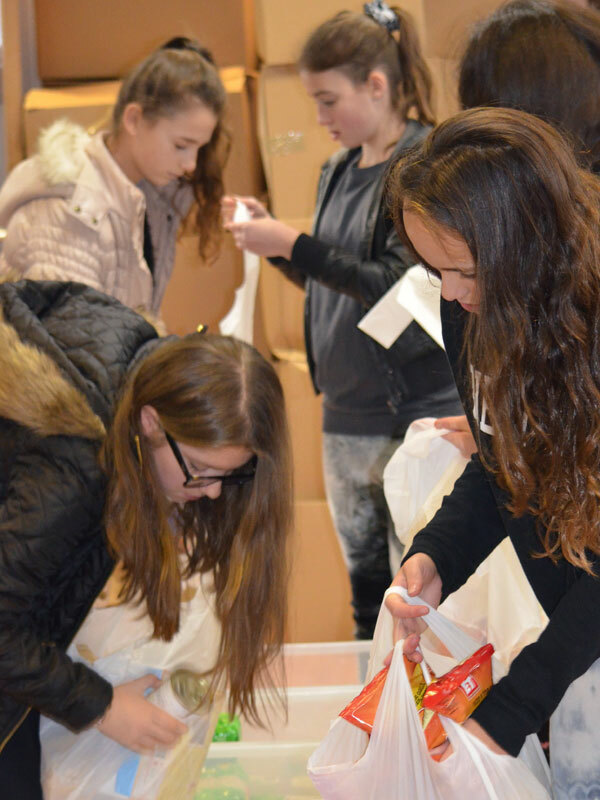 For 15 years GIFT volunteers have been rescuing and redistributing kosher food to families in the community that require support. Volunteering to help others that you do not know and do not know you is one of the highest forms of giving. Just come along and you will be assigned a job by our on-site staff. Family and friends are all welcome (under 11’s must be accompanied by responsible person 18+). *dates and times subject to change during festival / holiday times. Please always check the website for the most up to date information. My week would be empty without GIFT! At the same time as doing a mitzvah we are having fun and that, I feel is the best part of it. Thanks you so much GIFT! With over 240 households to deliver weekly food and support parcels to in London & Manchester, we need all the help we can get. Often picking up parcels on their way home from work or back from the gym, our volunteer support parcel delivery drivers make a huge difference to the families they are delivering to. Each week we have many requests from GIFT family members that need a little extra support. Becoming an ad-hoc driver gives you complete flexibility - normally these are short, local journeys helping those that need someone trustworthy or for someone who struggles to pay for yet another taxi. We have a number of GIFT Boxes situated in kosher shops in London & Manchester, which shoppers generously fill with donated food. When the boxes are full our volunteers go along to the shop and empty the GIFT Box. They then bring the food to either the warehouse in Hendon or the Manchester office in The Shrubberies. That’s it - a simple, meaningful and very helpful way to give. Our Helping Hand volunteers are very special, especially as the average age of this group is only 16. Going straight from school for an hour a week, giving their time to help families who are experiencing difficulties by visiting them in their homes and offering support and respite is a tremendously worthy and caring thing to do. I began volunteering one afternoon for a young mother who needed some extra help with her baby… I needed no payment, just seeing the smile on the mothers face and seeing her a little less stressed was enough… I feel privileged every time I get the opportunity to help. For 18+ only volunteers who have quite a bit of flexibility in their lives, this unique opportunity not only makes a huge difference to the beneficiaries but is a powerful giving experience. 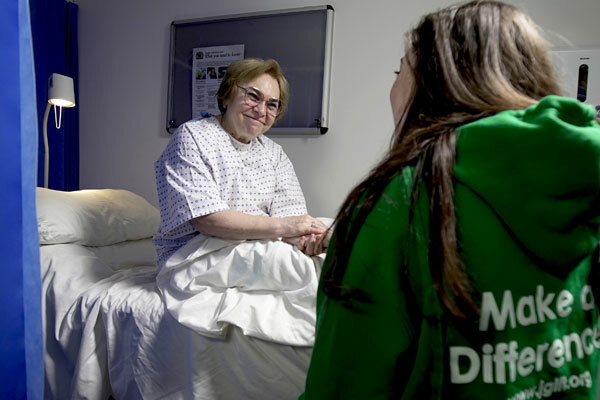 GIFT’s Hospital Visiting Service is an amazing opportunity to do a true act of kindness. Not only are you brightening someone’s day, you are also making their relative’s lives just a little easier as visiting also offers them some respite and a chance to look after other children or do some shopping, freshen up and take care of other areas of life they can’t afford to neglect. A fun yet vitally important volunteering opportunity from ages 4 - 84. 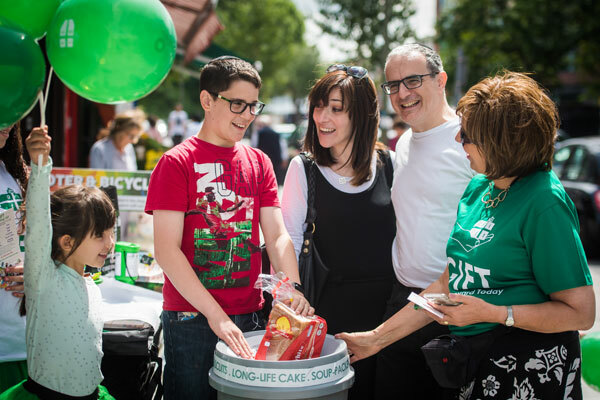 Get some friends together, or arrange it with your youth group and take an hour out of your schedule to stand outside a local kosher shop inviting shoppers to buy an extra item of food to put in the GIFT Box. With a growing number of households that are turning to GIFT for support, every item of food you encourage shoppers to buy for GIFT is an act of giving you are responsible for. Make a difference today! 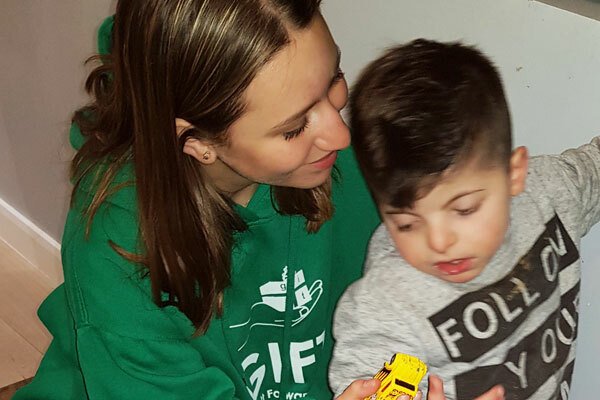 Becoming a GIFT Tutor means giving your time and experience to help a child from a struggling or disadvantaged family that needs a little extra support is a rewarding and fulfilling experience. 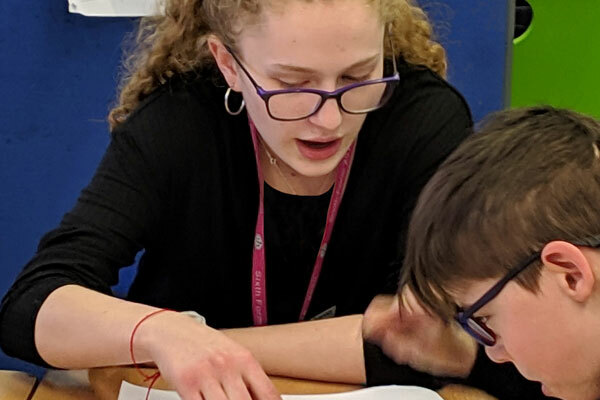 GIFT runs a Sunday morning tutoring club in Golders Green and also many weekday teenage volunteers tutor younger children in their homes. GIFT has been participating in the DofE Award scheme for many years with hundreds of volunteers racking up hundreds of hours of volunteering with GIFT as part of the scheme. We are delighted to play a part in helping young volunteers achieve this outstanding and internationally recognised award. 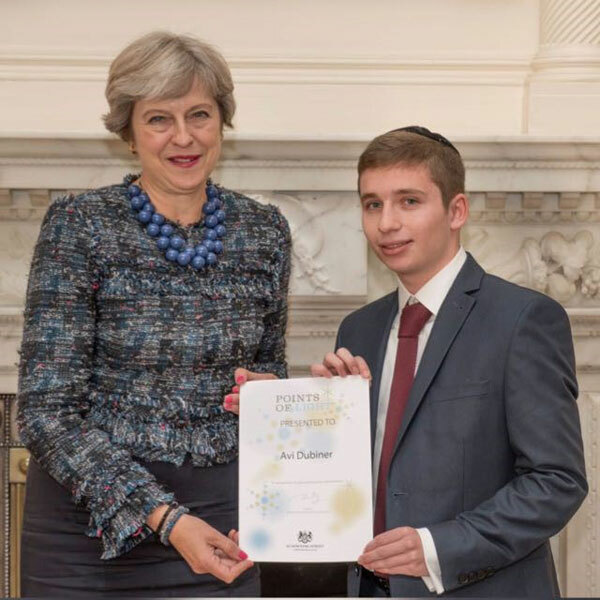 The Yoni Jesner Award, set up as a legacy and in memory of Yoni Jesner, 19 who was tragically killed by a suicide bombing on a bus in Israel in 2002. If you are in Year 7 or above, volunteering for GIFT for a minimum of 20 hours will get you this important award - important because it will show you care, that you want to give to others and are inspired by the actions of one individual who achieved more in his short years than many do in a lifetime. Vinspired is the UK's leading volunteering matching charity for 14 - 25 year olds. Vinspired helps young people to make their mark on causes that they care about, whilst learning new skills and talents along the way. Make your good deeds count by totting up your volunteering hours for the Vinspired awards scheme. "It’s nice to be important, but it’s more important to be nice"